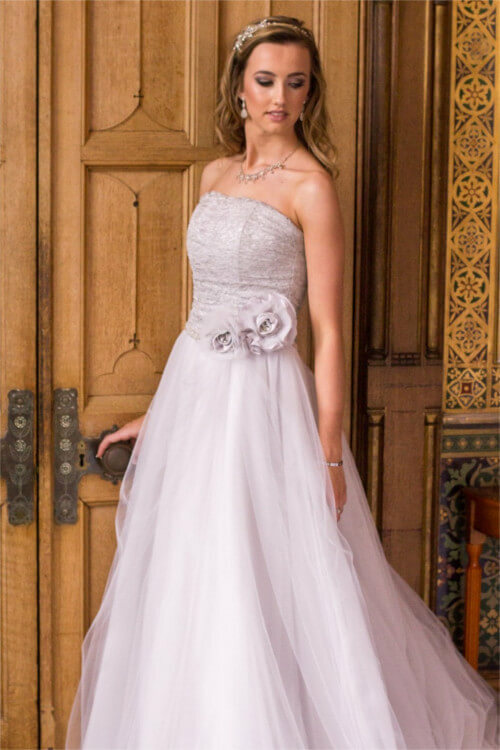 Here at Angela Jane our aim is to create the bride a beautiful, handmade gown which has been lovingly designed and made in our Nottinghamshire studio. Choose from our 'ready to wear' collections, go for a totally bespoke gown using your own design ideas or have a combination of both. The choice is yours! All our services are carried out through private consultations and fittings and we even provide home visits. Our dream dress service is a part bespoke service. Any dress from any Ready-to-wear Angela Jane collection can be altered or adjusted to create the dress of your dreams at a more affordable price. This allows you to make that already beautiful gown into that perfect dress for you. The bespoke service allows you to create any style of dress that you desire. This allows total freedom of design and a perfect fit to your own personal measurements. Our bespoke service is open to all customers whether that be bridal, occasion or evening wear. All our bespoke services are carried out through private consultation and fittings. If you have any queries or for more information please Contact Us. Thank-you for designing and making my bespoke bridal gown. The dress is even more beautiful than I could of ever imagined. I just want to say an enormous thank-you for creating such a beautiful dress for my wedding day. I felt a million dollars and it was everything I wanted it to be! Thank-you again for such a fantastic service. We had such a beautiful day! Thank-you so much for all of your help and advice with all of the dresses. You truly made my fairytale dress. 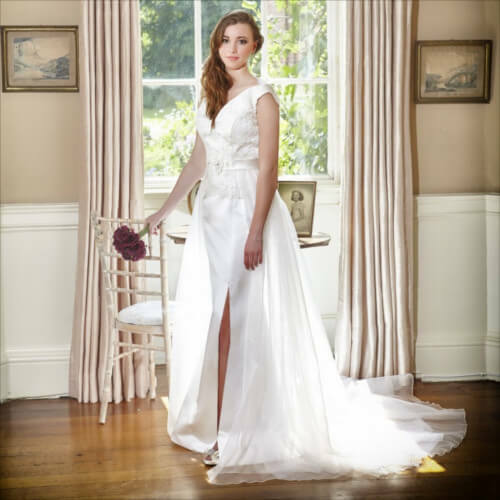 Bespoke wedding dresses in Nottinghamshire, Designed and Handmade.